Thanks to a lead that another blogger pointed out on a post of mine, I got inspired to do some more digging on my Ellison family branch. Here's what has been uncovered so far. According to Irvin Ellison's Freedman's Bank record entry from November 24, 1869, Benjamin Ellison was residing in Snow Hill, Greene County, NC after the Civil War. Recently, I did a simple Google search using the following search criteria: "Snow Hill, Greene County, NC"+"Ellison." The first search result that came up instantly caught my eye. 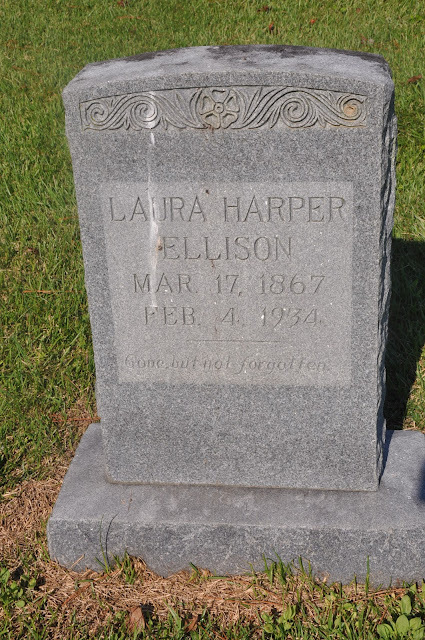 It was a link to Find A Grave and specifically for an entry for Laura Harper Ellison. I recognized that name from the family tree I have on Ancestry.com. She happened to be the wife of Harvey Ellison, my 3rd great grand uncle. 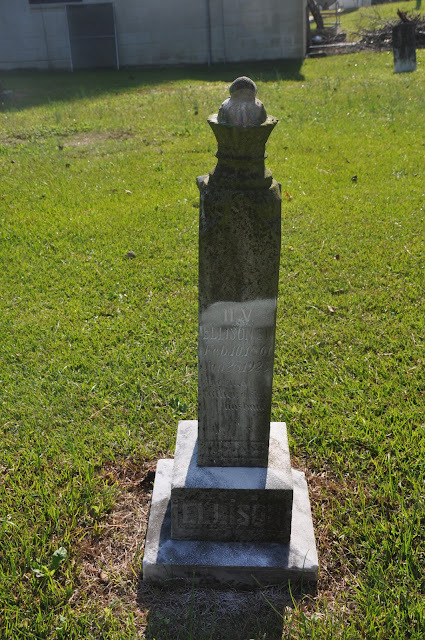 I went to Find A Grave and lo and behold there was a picture of her grave. The listing on Find A Grave showed that she was buried at St Peter Church Cemetery in Snow Hill, Greene County, NC. 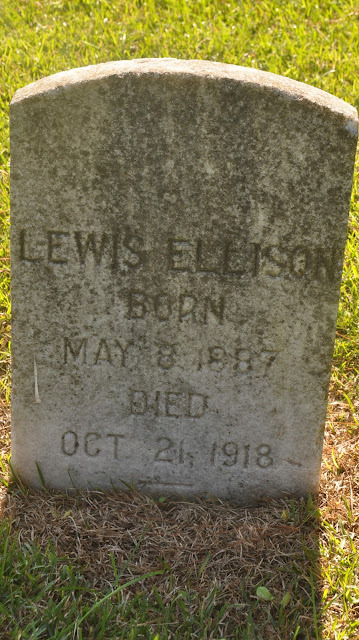 I clicked on the link to St. Peter's Church Cemetery and typed in Ellison to see if any other family members would come up. Guess what? BINGO! Picture uploaded by Horace Wiggins. My 3rd great grand uncle, brother to Caroline Ellison Bryant. Lewis was one of Harvey and Laura's children. I went back and checked the death certificate for Harvey Ellison to see what was listed as his place of burial. The cemetery where he was laid to rest was referred to as Snow Hill Cemetery. I will keep this in mind as I continue to do more digging. Perhaps other Ellison family members were buried there as well. Great job! You keep digging Andrea it has paid off is so many wonderful ways. Congratulations! Congratulations on your good digging. Seek and you will find.